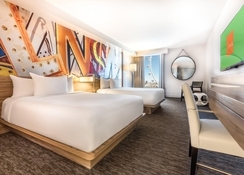 The Linq Hotel and Casino is a 4-star hotel located in the centre of the Las Vegas Strip. It has a very modern and cosy design and its facilities include a casino, three restaurants, several bars, an outdoor pool and public parking area. The rooms feature mosaics on the walls and come with a TV, safe, air conditioning, hair dryer and bathroom products. The 24-hour reception provides tourist recommendations and ticket service, and travellers also enjoy airport transfer and laundry. At 600m from the hotel you can see the spectacle of the Bellagio fountains. 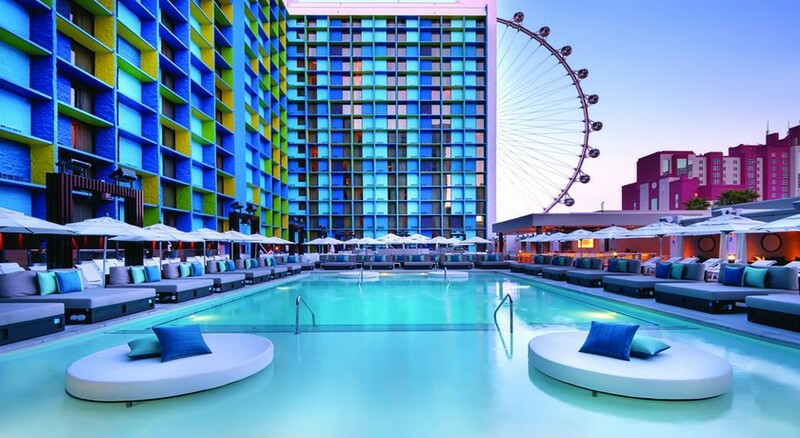 The Linq Hotel and Casino is located in the centre of Las Vegas Strip. The Bellagio fountains are only 600m from the property. Caesars Palace shops are just 200m from the hotel. 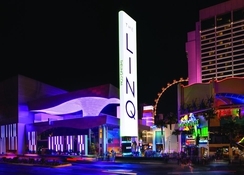 Likewise, travellers will enjoy exclusive access to the LINQ promenade, with shops, restaurants and concert halls. 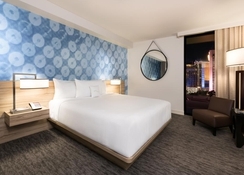 The McCarran International Airport is 6km from the hotel. 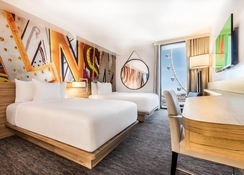 The guestrooms at The Linq Hotel and Casino offer a pleasant modern design, with furniture and decorative elements in wood, mosaics on the walls and windows that offer unique views of the giant Ferris wheel. Room amenities include telephone, air conditioning, safe, hairdryer, flat TV, bathroom products and a seating area. The rooms are categorised as Deluxe King Room, Deluxe Two Double Room, Bunk Bed Deluxe Room, King Junior Suite, Deluxe Two Queen Room, Luxury One King Room, Luxury Two Double Room, Deluxe Room (One King – High Roller View), Deluxe Two Double Room, Deluxe Room (One King – Strip View), King Suite, LINQ Penthouse, Deluxe Poolside Cabana, Deluxe Poolside Cabana (Two Doubles) and Deluxe Poolside Cabana (Two Queens). There are similar rooms that allow smoking. 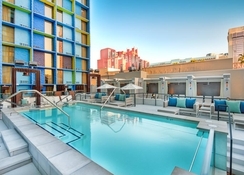 ‘Influence’ is the new outdoor pool at Linq Hotel and Casino and the hotel features a complete spa offering a host of treatments, massages and sauna. The 2000 square foot fitness centre is fully equipped for the active guest. The hotel reception is open 24 hours a day and can be used Get tourist information as well as buy tickets. Laundry and airport transfers are also available, and travellers enjoy an outdoor pool and public parking area.